Following a hearing that took place on July 10, 2017 in Detroit, Michigan, the Judge in charge of the Belford Class Action entered an order granting final approval of a partial settlement of claims in the Belford Class Action. A copy of the Order is available here. The settlement secured $250,000 for the benefit of the class of victims of Belford High School. 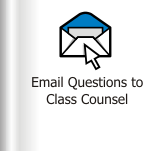 Claims that were submitted by class members are currently being processed by a court-appointed claims administrator. If you have questions about a claim that you submitted, you may contact the claims administrator at (844) 320-4304. For more information on the partial settlement, click here. On August 31, 2012, Belford High School, Belford University and a host of their co-conspirators were ordered to pay more than $22.7 million to the victims of their scams, a class of more than 30,000 U.S. residents who were duped into purchasing fake high school diplomas from Belford. The judgment established the truth of allegations that Belford High School and Belford University are fake schools that do not actually exist. Belford was also ordered to forfeit the websites used to perpetrate its scam, including www.belfordhighscool.com, www.belfordhighschool.org, www.belforduniversity.org, and www.belforduniversity.com. These scam websites have now been taken down so they can no longer harm consumers. These significant developments come as a result of extensive efforts that have occurred since the case was filed in November 2009 by The Googasian Firm, P.C., a Michigan-based law firm appointed by the federal court to represent the class of more than 30,000 U.S. residents who were victimized by Belford’s scam. For a timeline of significant events and rulings relating to the litigation and Belford High School, click here. The lawsuit, filed on November 5, 2009, alleged that Belford High School is an internet scam that defrauds students of their money. The lawsuit alleged that Belford High School takes students’ money by offering them a supposedly “valid” and “accredited” high school diploma, but that the school is fake and the diplomas are not valid. The lawsuit alleged that the two accrediting agencies by which Belford claimed to be accredited – International Accreditation Agency for Online Universities and the Universal Council for Online Education Accreditation – are not legitimate accrediting agencies. The lawsuit alleged that these two accrediting agencies, like Belford, are fake. The judgment entered by the Court confirmed these facts as true. From July 2010 to October 2011, Belford was represented by The Miller Law Firm of Rochester, Michigan. The Miller Law Firm opposed class certification on behalf of Belford during its period of representation, but the Court rejected the arguments made on behalf of Belford and certified the case as a class action. Counsel for the Class of Plaintiffs in the lawsuit are Thomas H. Howlett and Dean M. Googasian of The Googasian Firm, P.C., based in Michigan. These attorneys have served as class counsel to thousands of current and former students of private and for-profit schools in multiple class actions. To contact The Googasian Firm about Belford or any other concern you may have about a for profit school, you may click here. The Googasian Firm, P.C. is a law firm that aims to help those who are victims of unfair, deceptive, and abusive practices committed by private and for-profit schools. If you have concerns about a “high school,” trade school, career school or “college” or “university,” you may click here to share these concerns with the law firm.